In this guide, I will tell you about how you can choose a perfect permalink structure for your blog to acquire good rankings in search engine. To drive a successful blog and managing SEO, it is necessary to understand all the basics. Permalink or WordPress SEO URL is one of those basics. Before digging in deep, let’s know about SEO friendly URL in detail. SEO friendly URL is URL which has keywords that explain the article. This URL is readable by both robots and humans as well. It is the address used to link to your content. In past, WordPress default URL was not SEO friendly at all. But you can use SEO friendly custom permalink that also aids ranking better in search engines. Permalink is nothing but the content URL i.e., permanent URLs to your pages and blog posts. It is named as permalink because once you set the URL, it can’t be changed. And if doing so, you more likely to generate 404 errors that drastically drop site rankings. 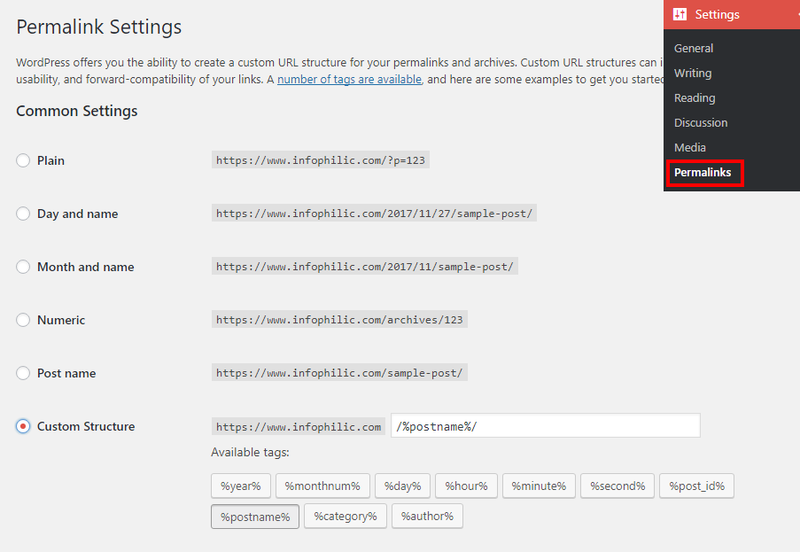 The great thing is, WordPress offers you the ability to create a custom URL structure for your permalinks and archives. Means you can generate your own custom URL for a specific page that must include keywords. This can improve the aesthetics, usability, and forward-compatibility of your links. How to set up Permalink Structure? 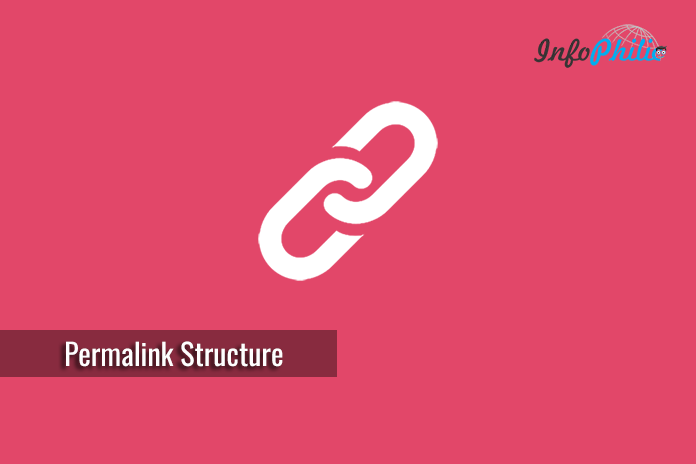 In WordPress, the term permalink structure and URL structure being used interchangeably. Go to Settings >> permalinks. A permalinks settings will appear on the screen. Choose post name option from the given options. It is considered as more SEO friendly URL looks short and pretty. If you are running a larger publication, then you can use a custom structure that can also be SEO friendly. It involves the category name along with the post name in the URL. As above, you can create other combinations, using tags in your Custom URL. Hit save button once you choose your permalink structure. Now, WordPress will automatically save changes to your .htaccess file and your site URL will be changed instantly. Note: If you are driving a site with the age of more than 6 months, I recommend, not changing the permalink structure. Doing so may generate many 404 errors and lose rankings as well. If you change your permalink structure, then don’t forget to set up redirects. But, if you are using plain URLs, you can change the URL structure for better SEO, no matter how old your site is. So, You are now ready for changing the permalink of your blog or site without any worries. I hope this guide helped you best. Any queries? Feel free to ask in the comment section below.